FROM ORNITHOLOGY TO HUNTING, A SUCCESSFUL TRANSITION. found appealing for a comprehensive test in all terain - in all conditions - and for hunting use. distribution of modern, high performing and solid instruments for nature observation. manufacturering the best quality professional optics worldwide. that seemed most interesting for all-round hunting purposes. Whether for stalking, mountain hunt, or battue. binoculars from the house in Bruges. diameter enables the user to make fast and accurate focusing. plastic. The soft rubber ring on top of the eyecup makes sure you can make long observations in comfort. optionally available with KITE Optics. 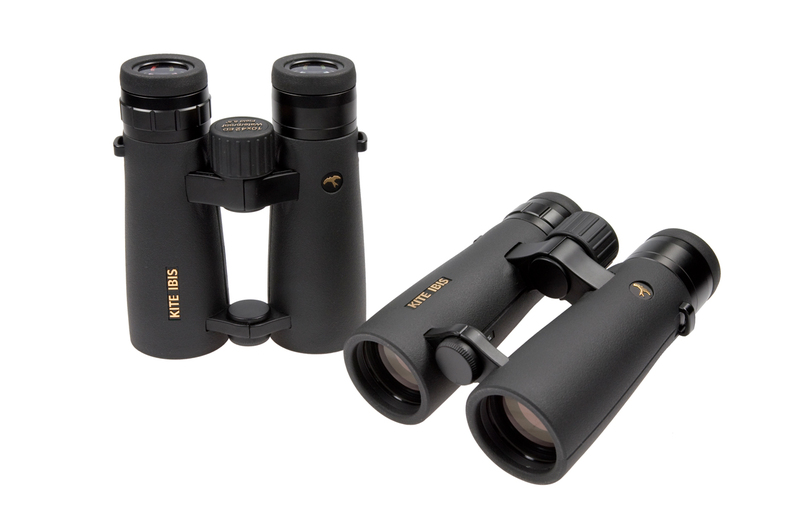 twilight index has a value of 20.5.
twist-up eyecups which are much more solid made on the Belgian-Japanese IBIS ED. Bonelli, and simpeler yet excellent quality instruments like the Forster and Petrel. These are without a doubt products to discover. The advised retail price of the IBIS ED 10x42 is very reasonable at € 990.